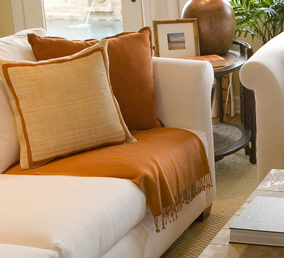 Call on Richard for the best professional furniture upholstery cleaning results. Richard's friendly professional service will restore the beauty and extend the life of your favorite sofas, chairs, and other upholstered furniture. Richard is highly skilled at professionally cleaning fine and delicate upholstery fabrics. He can safely clean cotton, rayon, wool, silk and all of the synthetic fibers. He will pre–test the fabric and advise you on what can be safely done and what results you can expect from the cleaning. Richard uses a complete professional 12-step process to achieve the highest standard of clean. The durability and condition of the upholstery fabric will determine the method and approach Richard will use to clean it. Pre-inspection - Together with you, Richard will inspect the furniture to be cleaned, and evaluate the expected results, and answer any questions you may have. He will determine the content of the fabric, and expertly decide which cleaning solutions and techniques to use. If there are any potential permanent stains or other areas of concern, Richard will discuss them with you. Area Preparation - To prepare, the area where the upholstery will be cleaned and any surrounding furnishings will be protected. 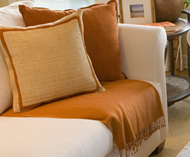 Pre-vacuum - Dry soils and any loose particles will be removed with a thorough vacuuming of the entire furniture pieces. Pre-treat - Depending on the fabric and its condition, a special solution will be applied to "emulsify" the soil. Pre-spot - Any potential difficult spots are pre-treated with special solutions to increase the chances of its removal. Pre-groom - The fabric will be gently groomed using soft upholstery brushes to further loosen the soil. Soil Extraction and Rinse - The soil is extracted from the fabric with a gentle, controlled rinse. Neutralize - The fabric is then pH balanced to maintain its soft, fresh feel. Post-spot - If any stubborn spots still remain, they will get extra treatment with specialty spotting solutions. Note: To prevent future stains, we can apply professional fine fabric protector. Post-groom - The upholstery will then be prepared for drying with a gentle combining of fabric. Speed dry - The upholstery will be speed dried with high velocity air movers immediately after cleaning to promote faster drying. Post-cleaning Inspection with customer - Richard will review the cleaning results with you to insure that you are completely thrilled with the results.